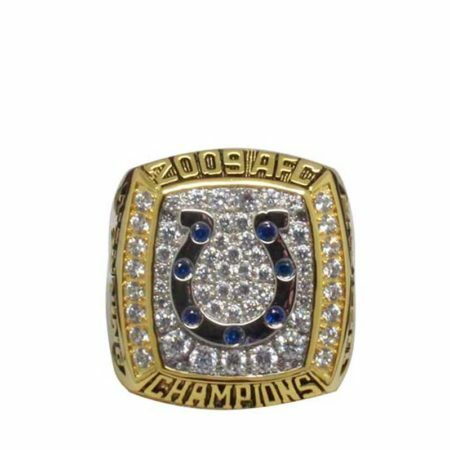 The Colts won Indianapolis’s first Super Bowl ring in 2006 season and It is also the first Super Bowl Ring that Peyton Manning won. 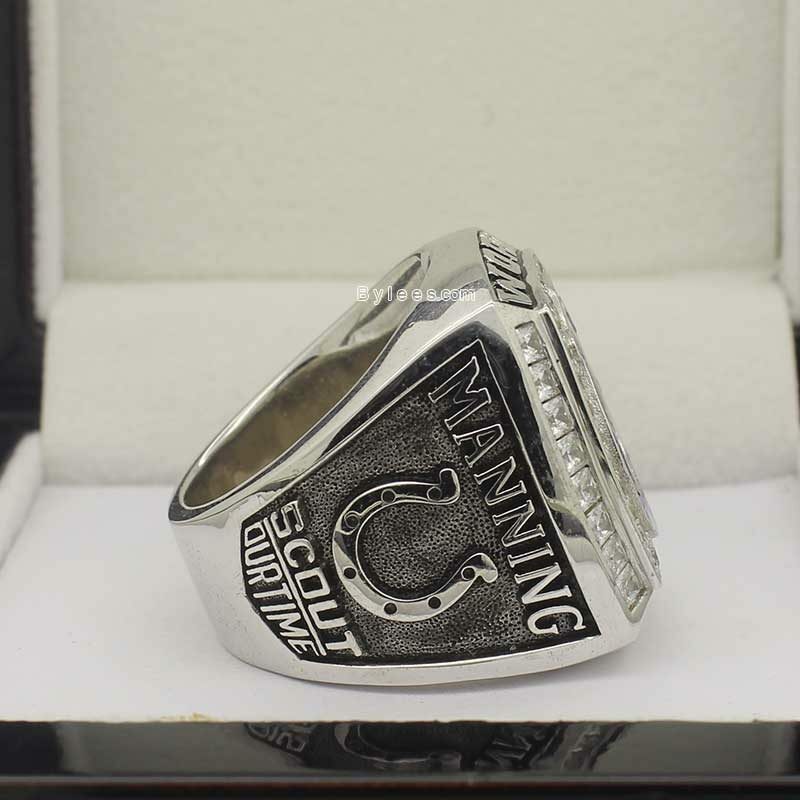 His Colts defeated the Bears in Miami by 29-17. 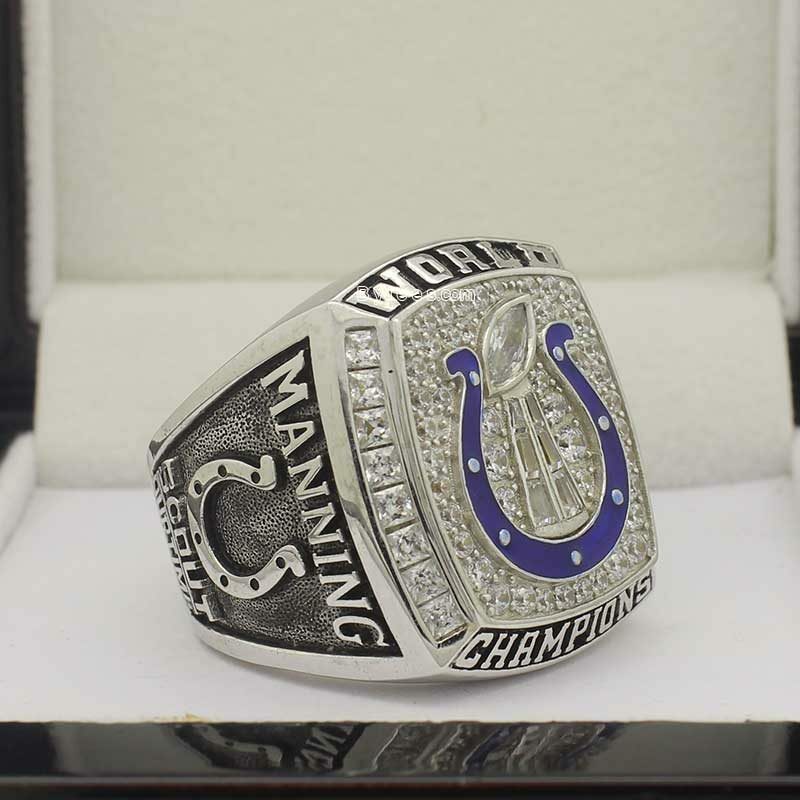 Manning was MVP. 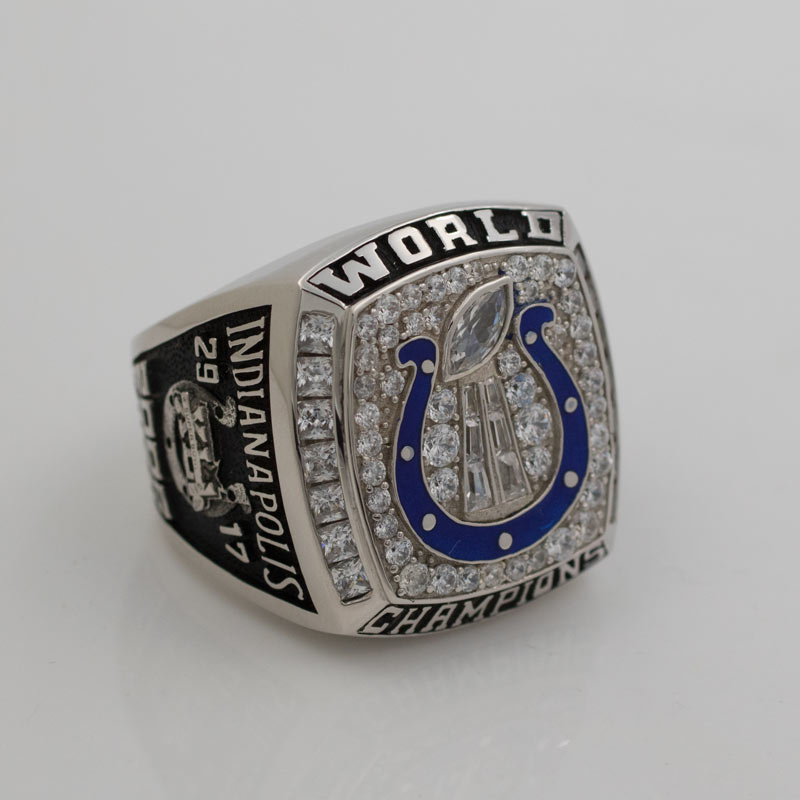 Colts head coach Tony Dungy became the third man to win the Super Bowl Ring as a head coach and as a former player. 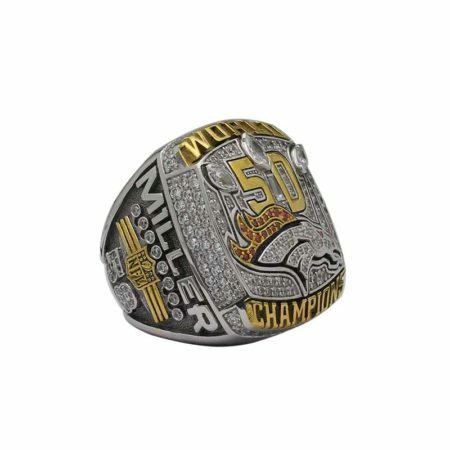 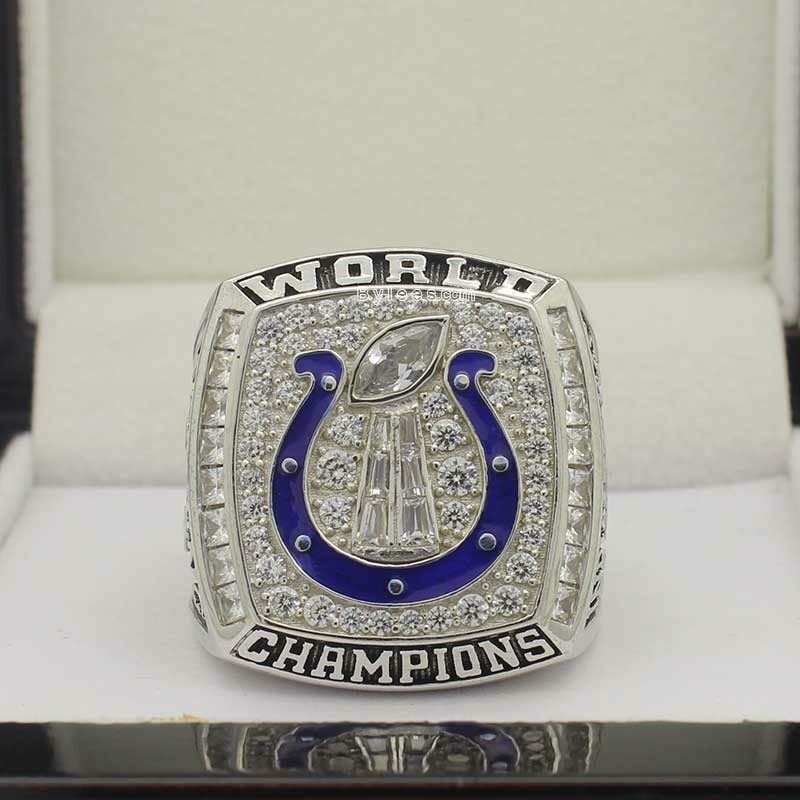 The Super Bowl XLI ring was designed with a diamond Lombardi trophy, and a sapphire horseshoe on the face,pretty same like the colts 1970 super bowl ring, the real colts super bowl XLI ring was worthy USD60,000 and still ranks within the Top Ten Most Valuable NFL Super Bowl Rings. 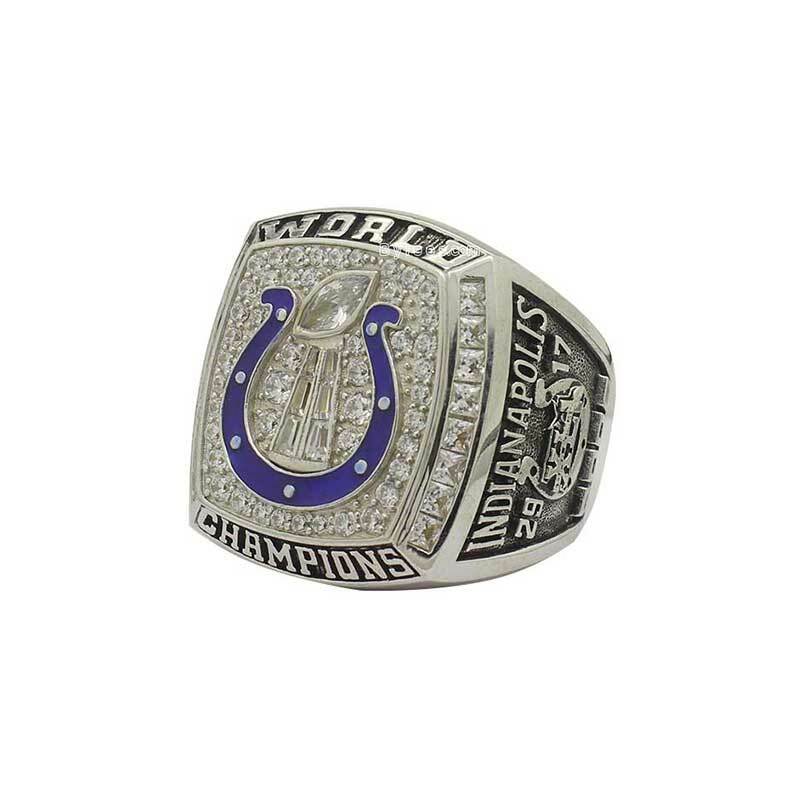 this Colts 2006 Super Bowl ring is high favorited by colts fans. 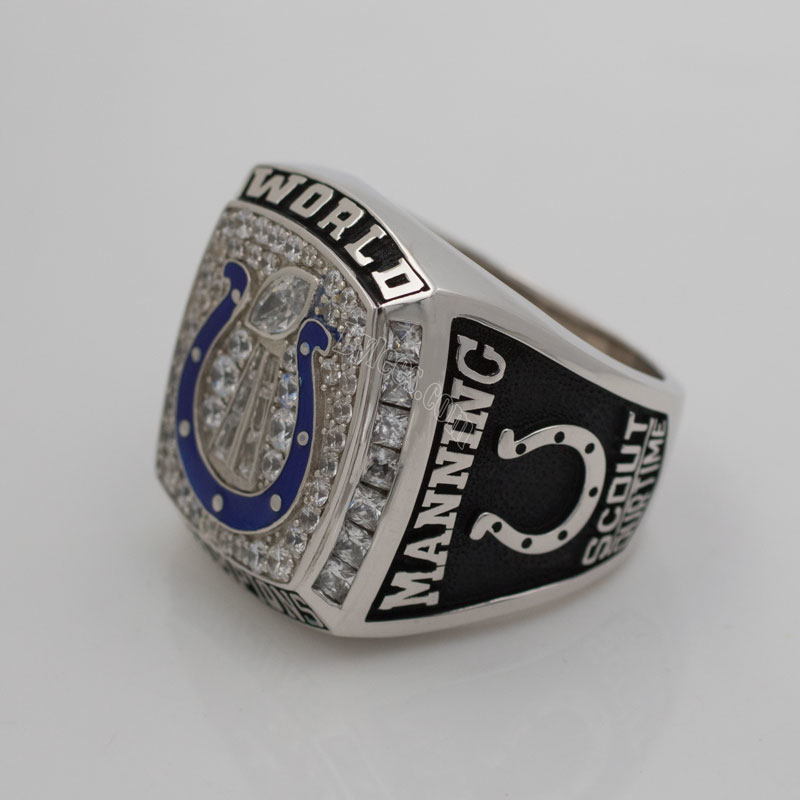 and the replica is available here. 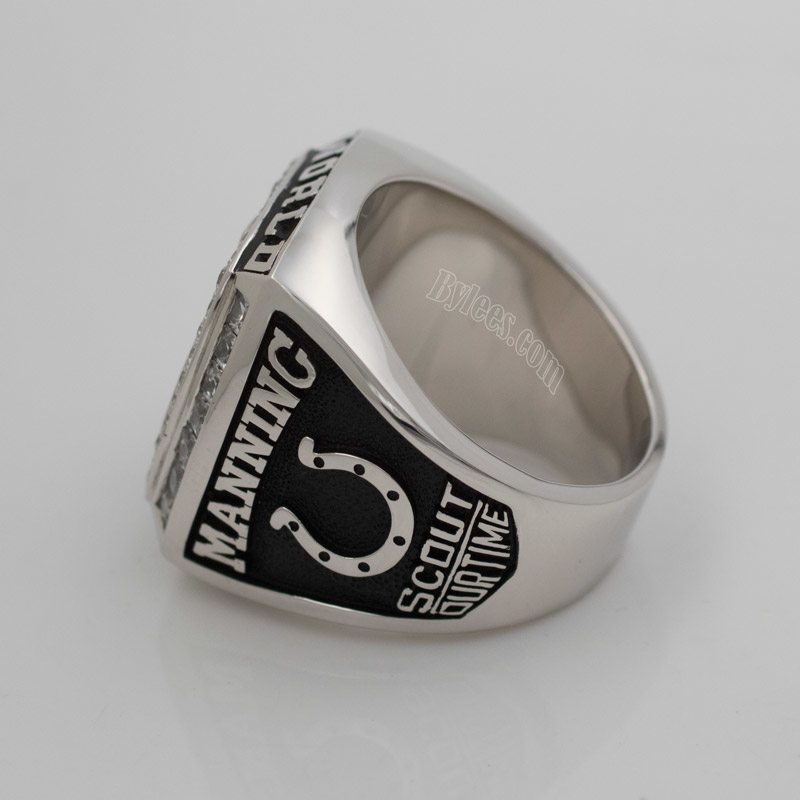 we got 2 version, the latest one with a much more confortable feeling while wearing on figers ( due to the upgrade on back shank) and it is with dark Black finish on the blank surface, if you want a solid copper champiopnship ring, it will be much more protective. 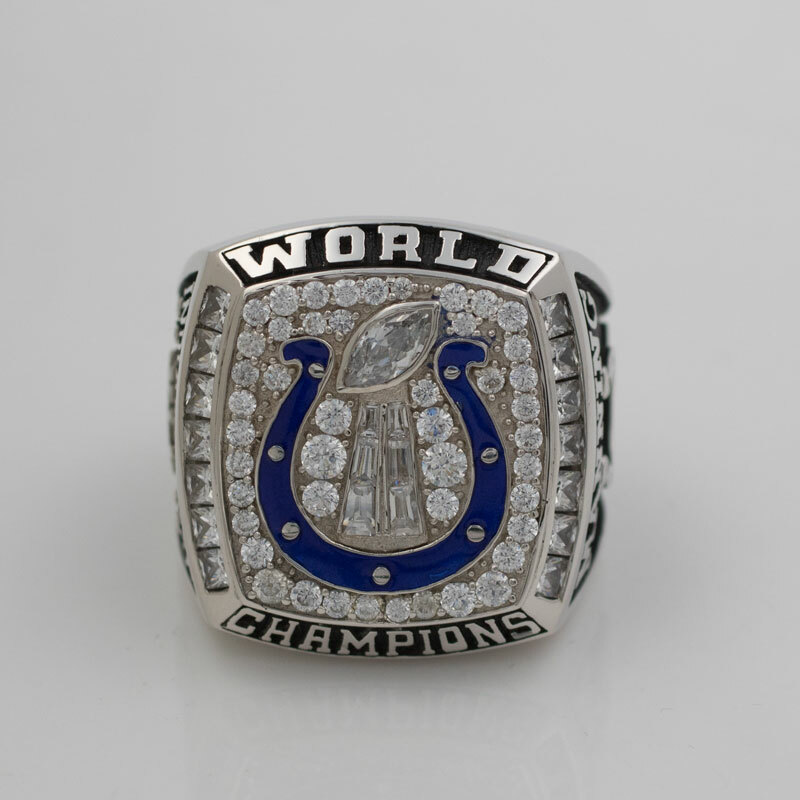 If you want a Solid Silver or Gold championship ring, then it doesn’t matter for light or dark black. 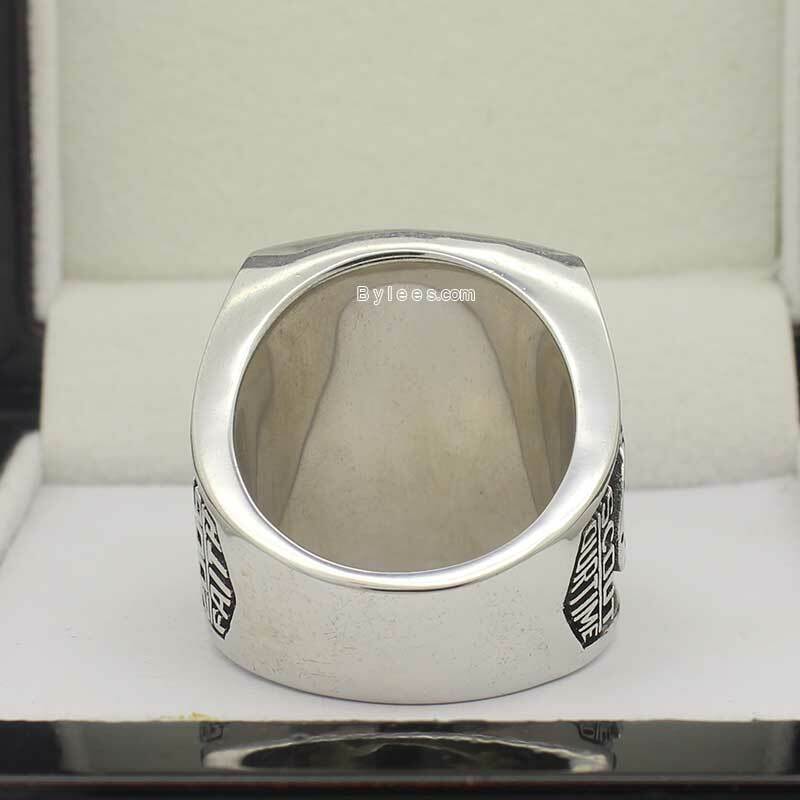 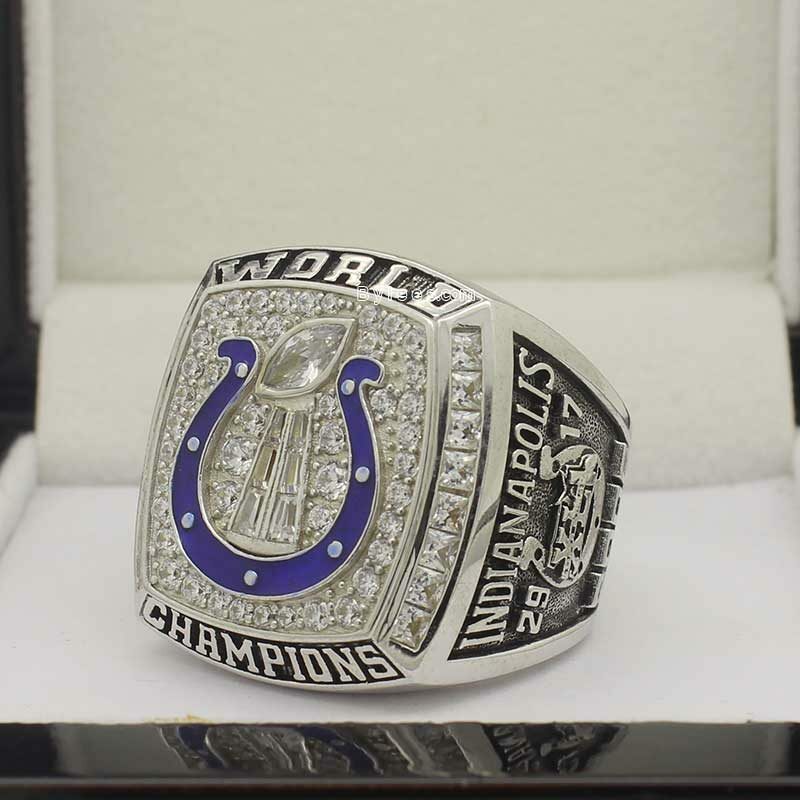 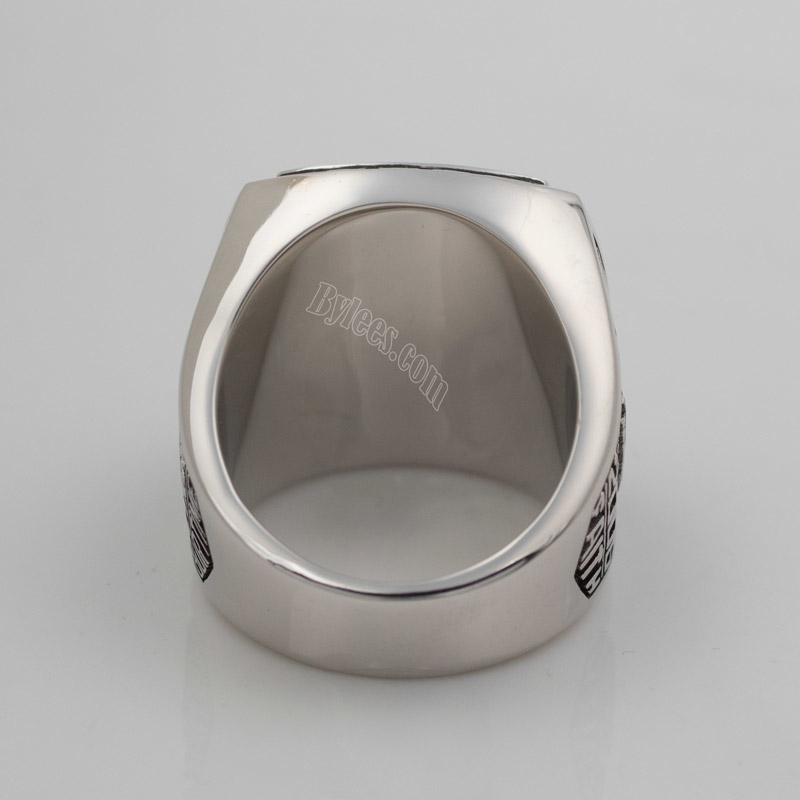 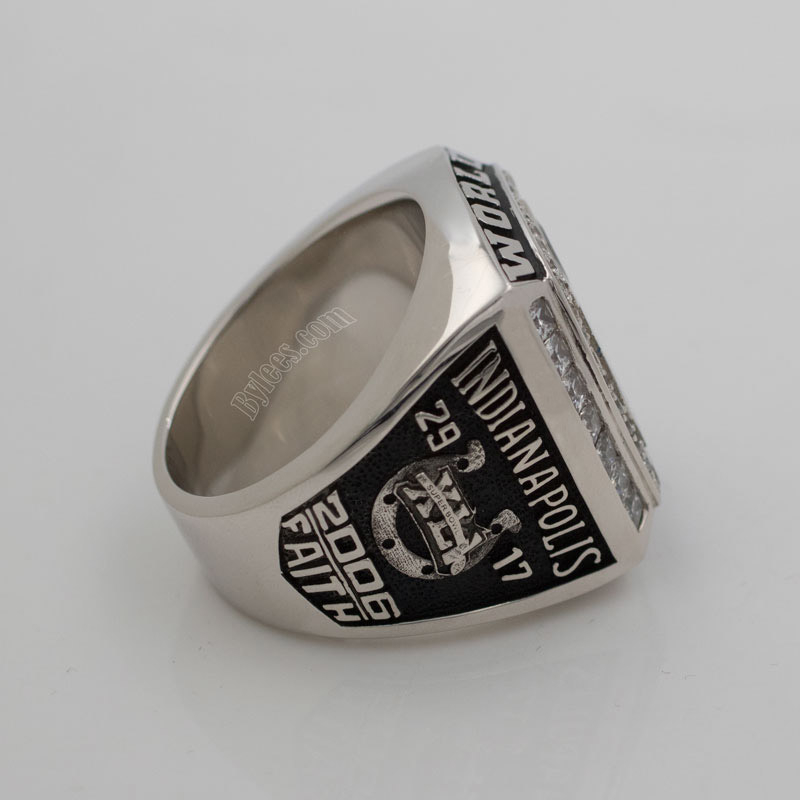 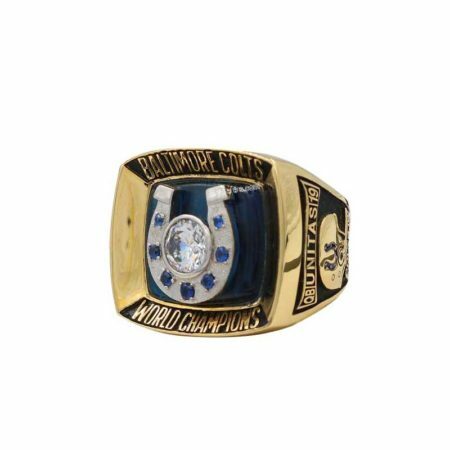 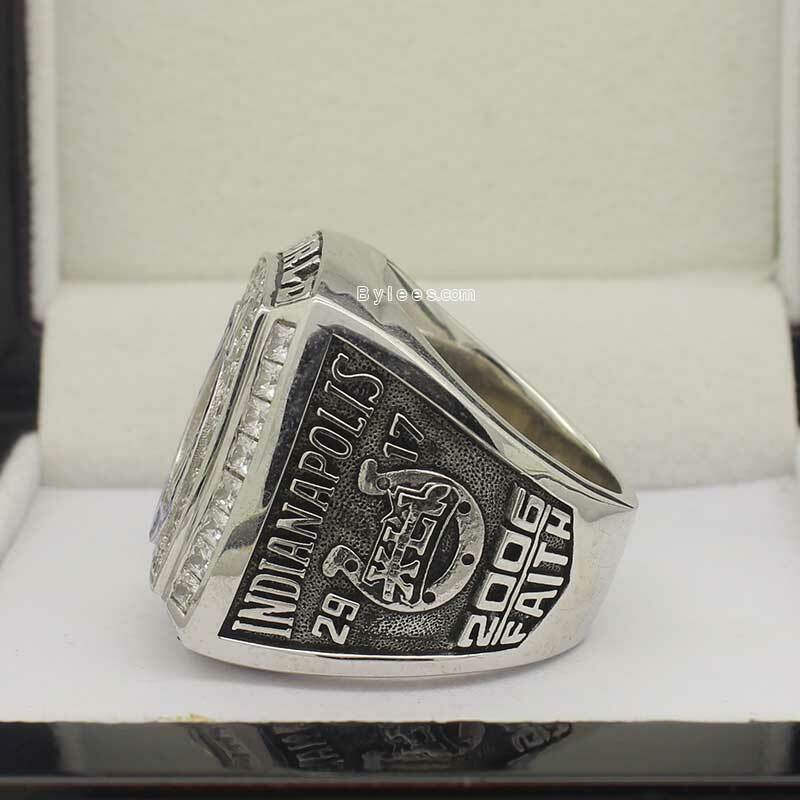 If you order the Indianapolis Colts super bowl XLI championship ring without specified request, we will offer the latest one.